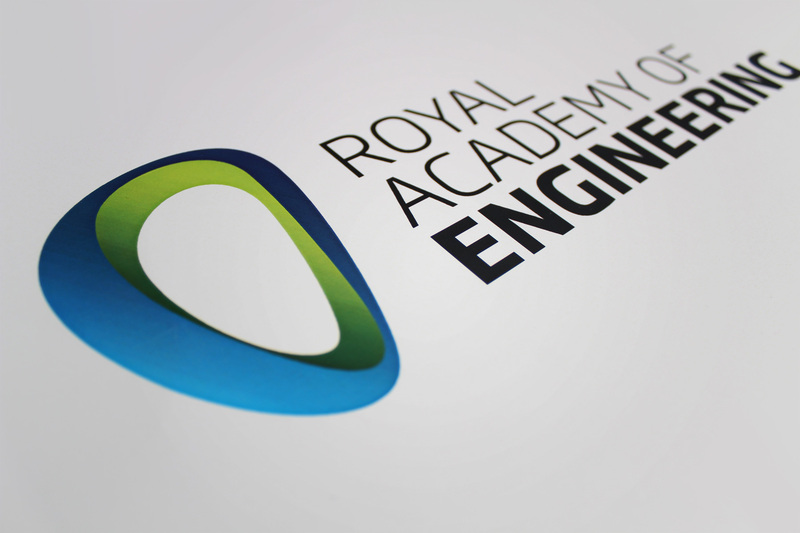 Flexible identity for world's leading engineering and technology academy. 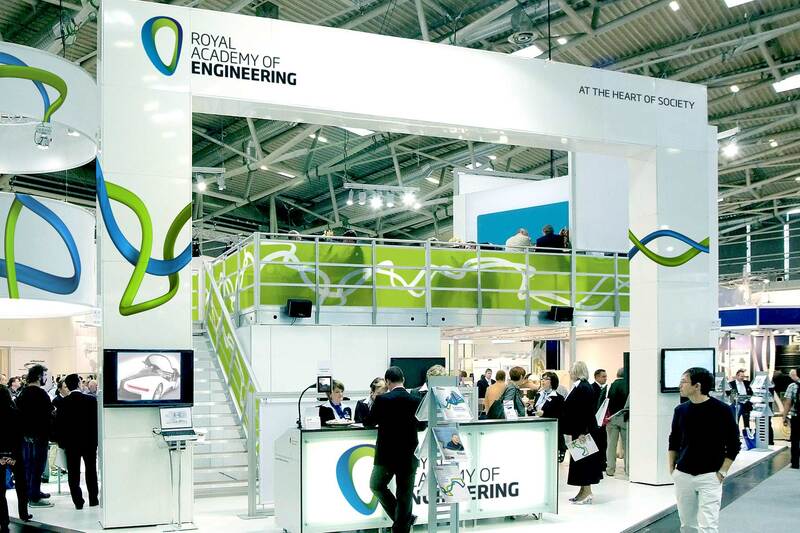 The Royal Academy of Engineering (RAeng) is Britain’s national academy for engineering and technology. The academy drives constant innovation in the engineering field, along with providing analysis and policy support to government and institutions. 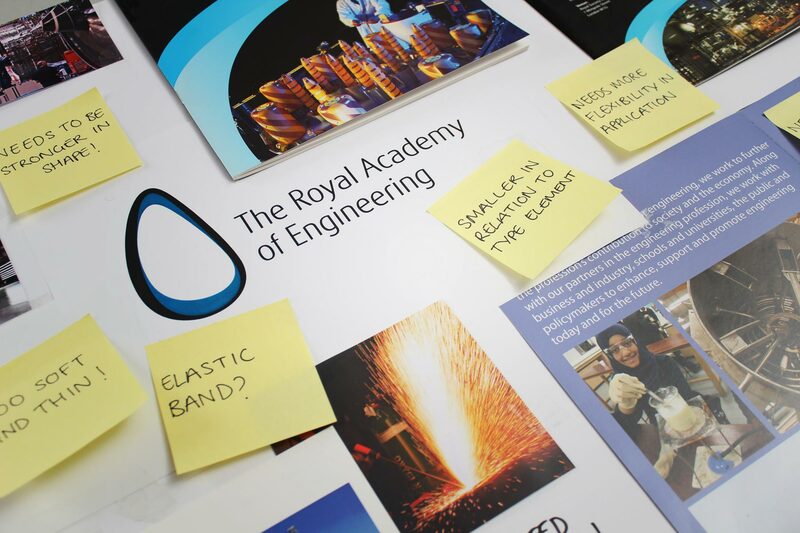 They are also involved in engineering education and invest in the UK’s engineering research base. 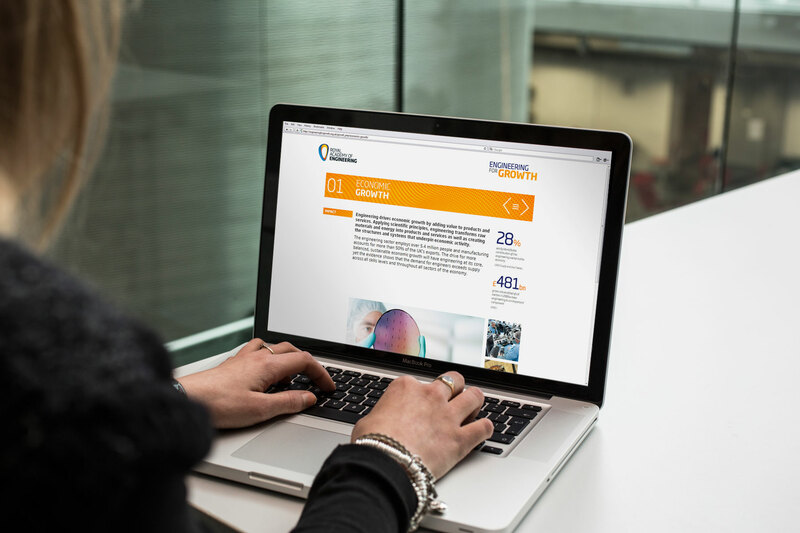 Our outputs with the Academy related to research, strategic framework, brand identity and rebrand, visual identity, brand and spirit guidelines and a series of communications campaigns. The resulting symbol pays respect to the past but is now far more vivid and robust. Firstly, we looked to add strength to the symbol itself. The symbol had been derived from a hand axe, yet the execution lacked some of the associated strength. 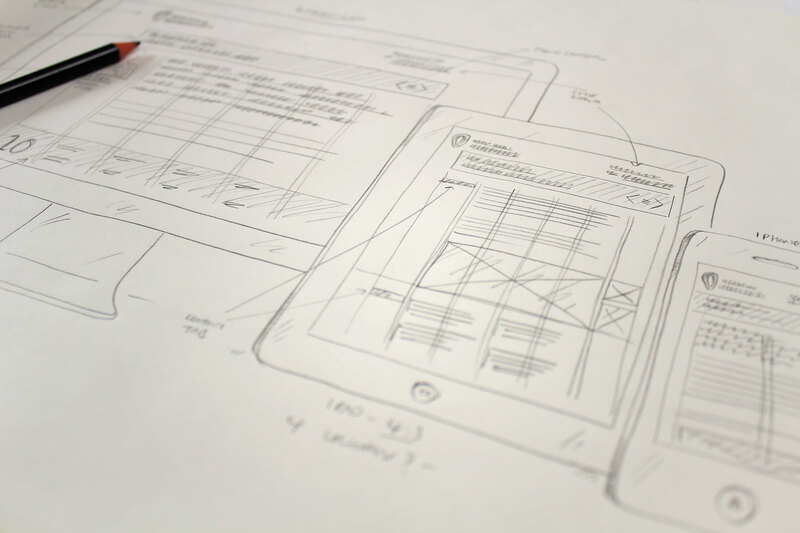 The development of the brand started with key stakeholder research. The brief was to find the DNA behind the academy and its purpose in society. A key motivator for the refresh was to address issues which the incumbent brand possessed. The overarching problem was that although the brand carried an innovative symbol, it lacked punch and strength. Our first thought was to turn the symbol on its head. We felt that the narrow element orientated downwards would be more aggressive. It would also be the natural way that the flint hand axe would be held. When put in comparison with the previous identity, the new brand identity shows its strength. For the typography in the mark, we used caps, adapted to a more contemporary type style and dropped the definitive prefix. The emphasis on engineering was designed to add variation to the three decks of type. 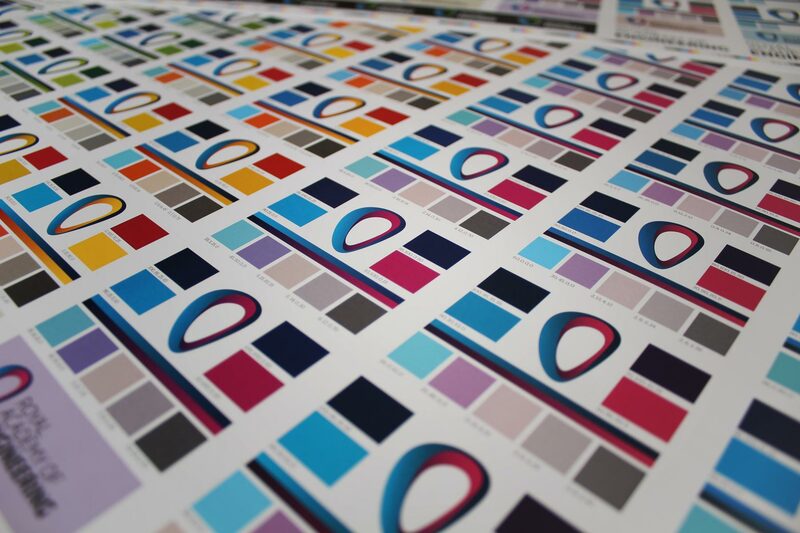 We liked the fact that the brand had a dynamic colour palette. Whilst we simplified it somewhat, we retained the inherent flexibility. We wanted to develop a supporting visual language which carried the properties of the brand but also allowed for flexibility. Breaking the rigidity of the application controls of the past were implicit in the client brief. We created a flexible dimensional thread device which could be used in a myriad of ways. The idea being that should you cover up the brand, the visual look and feel would still convey its own unique identity. The thread device could be used on a plain white background or it could be used dynamically to hold colour and imagery. 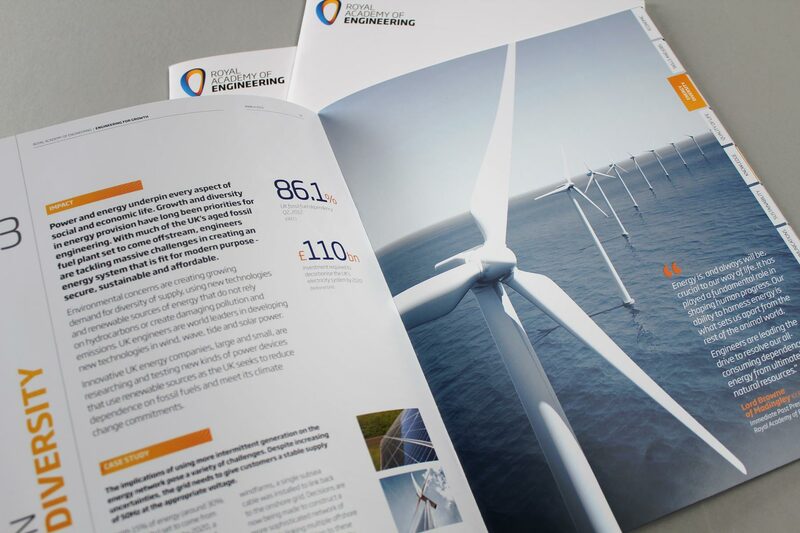 The visual identity used a combination of white space and vibrant imagery to communicate both the order yet excitement behind engineering. We used a primary colour palette combined with striking imagery so that the visual identity conveyed both order but also a bit of freedom. 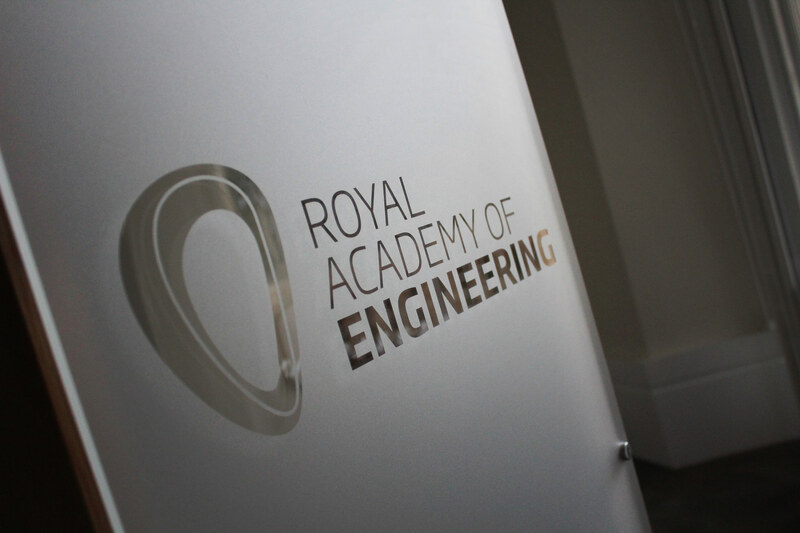 The mark has been applied to the interior of the London headquarters, using a custom die-friendly one colour mark. The development of the guidelines was engineered to allow the Academy to use a variation of the look and feel to speak to varying audiences. We used a graphic volume idea, whereby the dial amplified from conservative - for government perhaps - to full saturation - mostly for youth and education. The development of the flexible system means that the visual brand identity adapts extremely well to the most variable of design surfaces. With the digital version, we wanted the site to be highly format friendly so we created a responsive design across all devices. 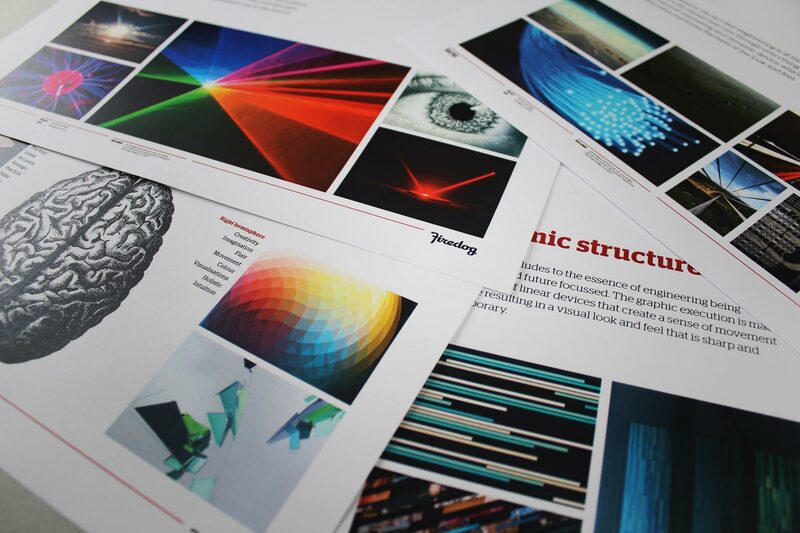 The campaign needed to work in both digital and print formats. The primary usage behind the site was for the digital publication of vital information. 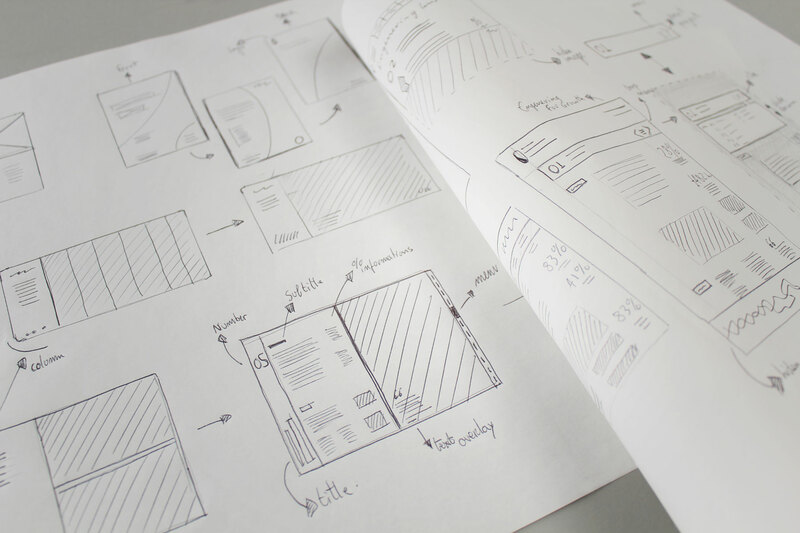 We used editorial best practices to ensure the digital experience met these goals. 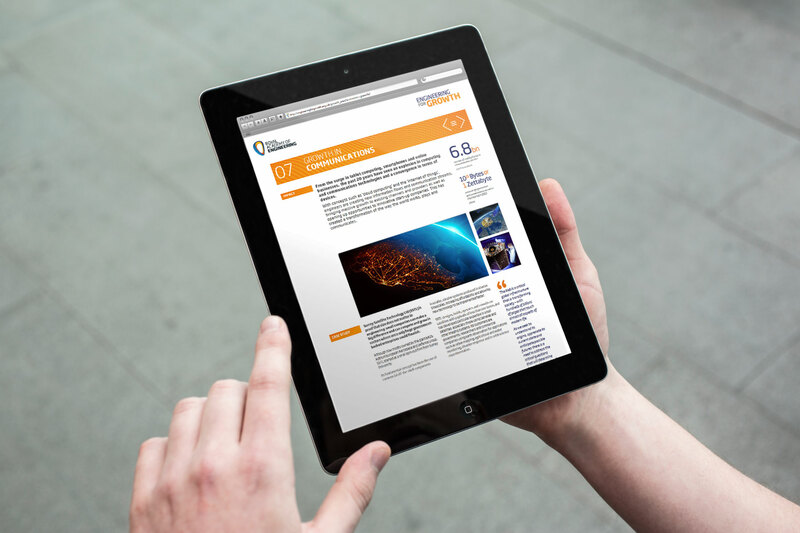 The structure and navigation of the publication ensured an easy to use site experience. The layout style sheet responds to whether the reader is using their device in landscape or portrait orientations. The restricted colour palette and clean environment makes for easy reading of content. The style sheet adapts to single columns for smaller formats, ensuring legible text sizes. 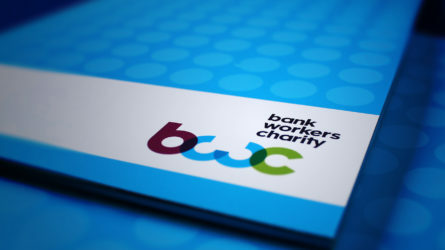 We created a print variation which was used as a direct media campaign. 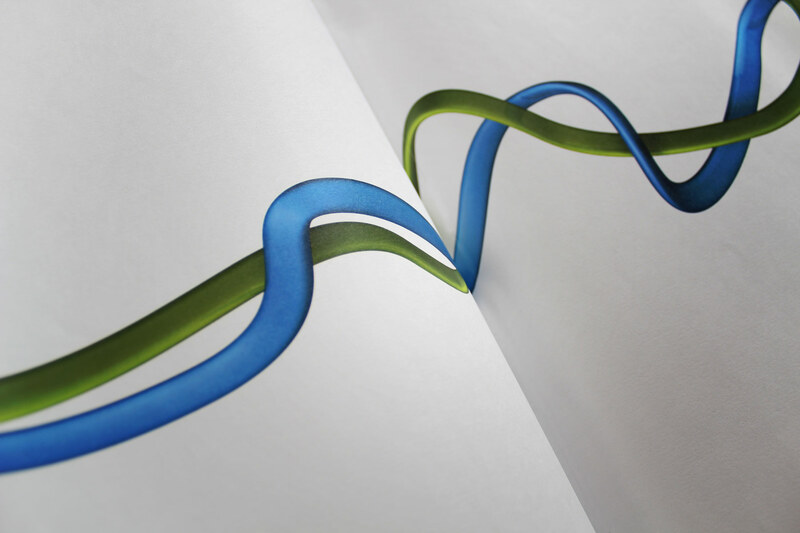 Both the print and digital variations shared a very similar feel thus creating a strong campaign identity. 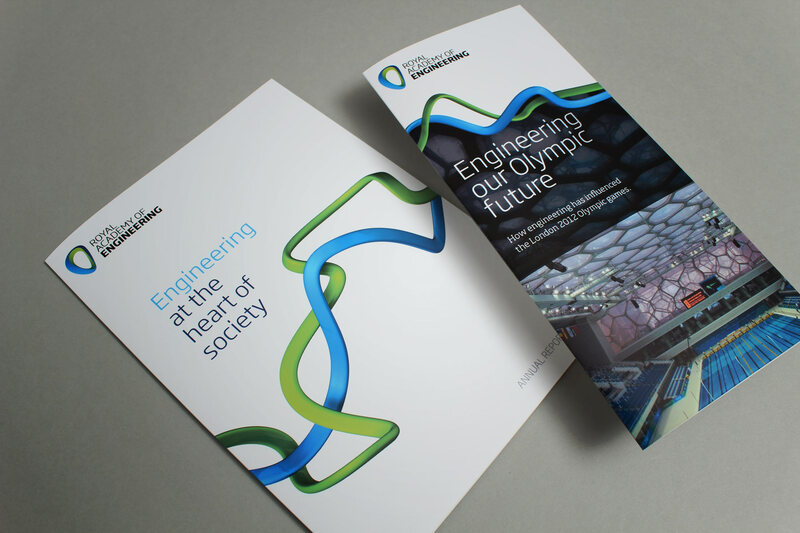 We used our own established brand visual identity that we had created for the Academy. 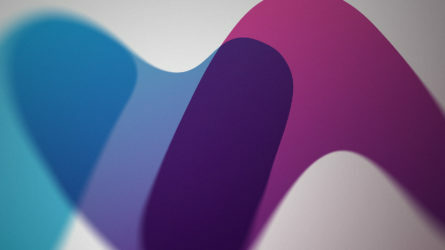 Celebrating its 35th anniversary as a progressive body, the academy were looking to evolve their visual brand identity. This identity needed to reflect on the academy’s heritage and achievements, as well as embrace its future plans and ambitions. 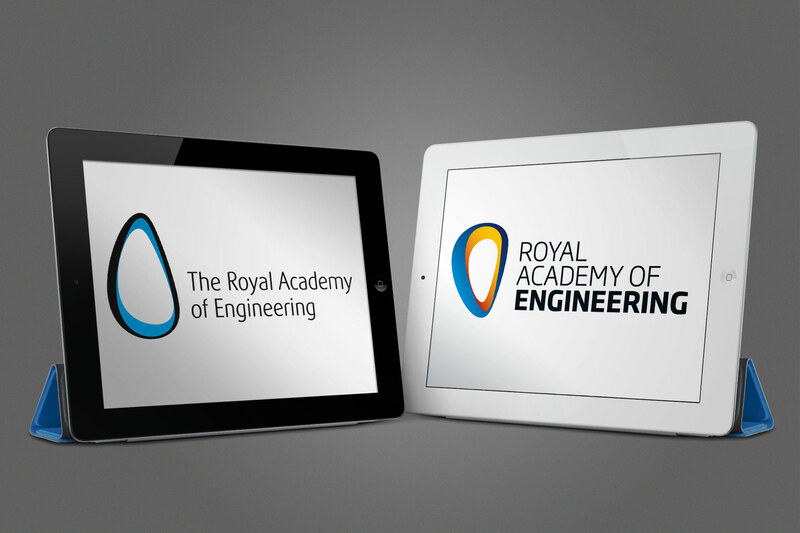 The aim of this project was to update and refresh the logo design and visual identity to ensure that it is in-line with the academy’s evolving strategy and vision – ‘making engineering the heart of society.’ The brand identity needed to convey an impactful and coherent message, whilst still being adaptable enough to resonate with a diverse audience, whose members engage with the academy for different reasons. The prior version of the identity, whilst grounded in logic, was typographically weak and did not render well at small sizes or in digital format. We developed a visual identity system which could be "dialed" up to speak to younger audiences, but at the same time toned down to speak to industry and policy makers. Firedog conducted an exciting research phase, whereby fellows of the Academy applied minds in an exercise to define the core DNA of the brand. We explored the Academy’s role in society and it became increasingly apparent that the “Heart of Society” positioning was very authentic and appropriate. The research also informed the creative process, exposing the current identity as rigid, restricting and not very imaginative. The Academy addressed a multitude of audience segments, therefore we developed a visual identity system which could be “dialed” up to speak to younger audiences, but at the same time toned down to speak to industry and policy makers. 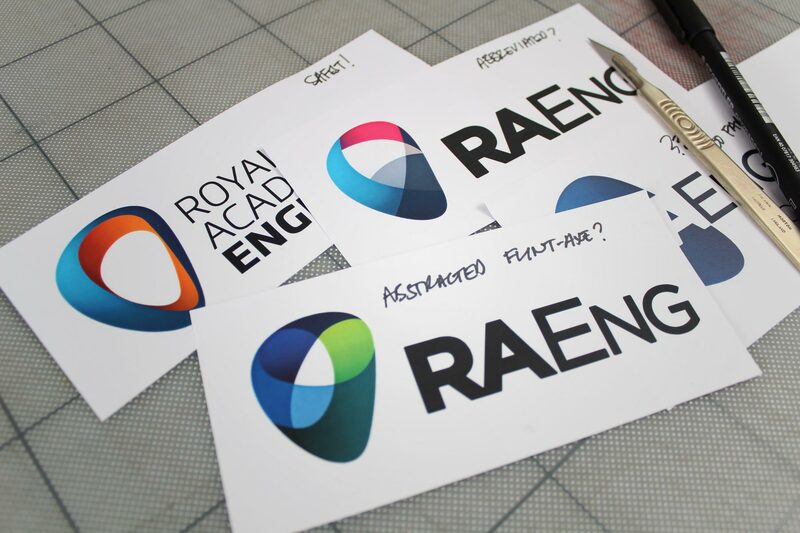 We refreshed the RAeng symbol, literally turning it on its head ... closer to how a hand axe would be held. We refreshed the RAeng symbol, literally turning it on its head. We liked the idea that it was conceived around a flint axe, yet its orientation made it look more like a gas flame. We found the downward facing position more aggressive and dynamic, and closer to how a hand axe would be held. We combined this with strong typography which portrayed a more dominant entity. 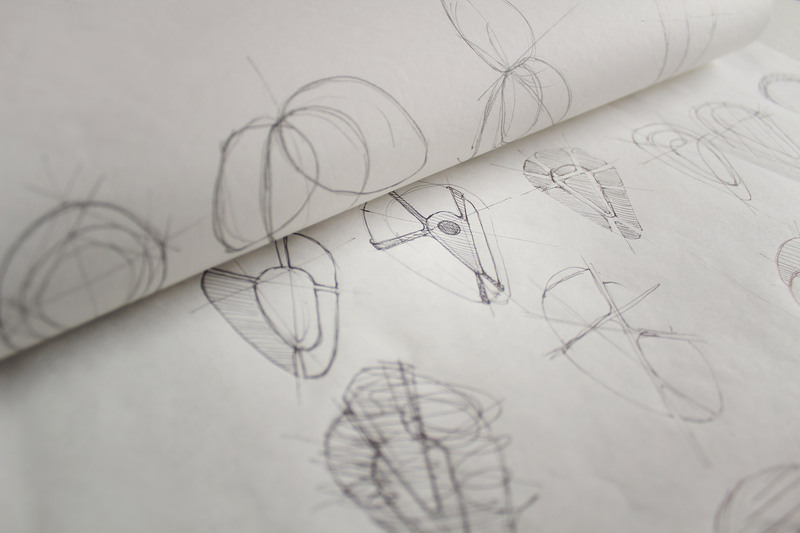 We followed through with a thread based visual identity device, which worked with the icon. 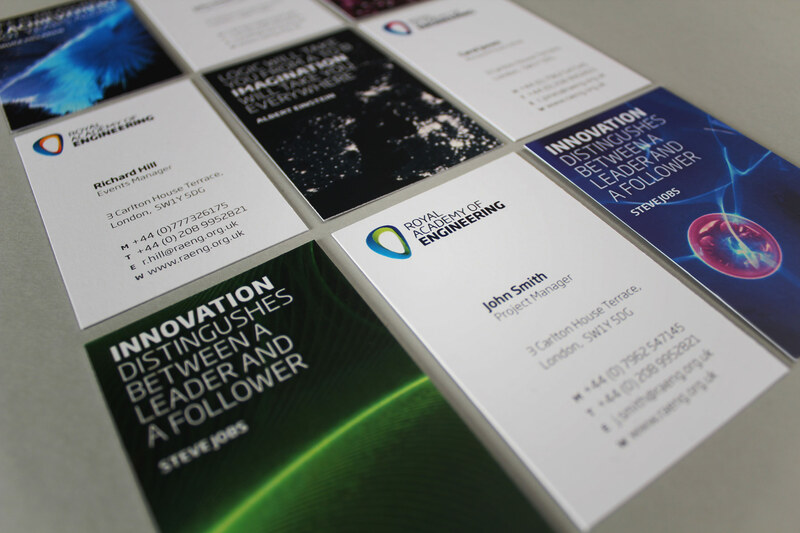 All the creative work is wrapped up in a substantial guideline kit which allows in-house teams to apply the look and feel across the Academy’s full marketing remit. The identity has gained approval from the vast majority of fellows and has already created a far more visible and powerful brand. 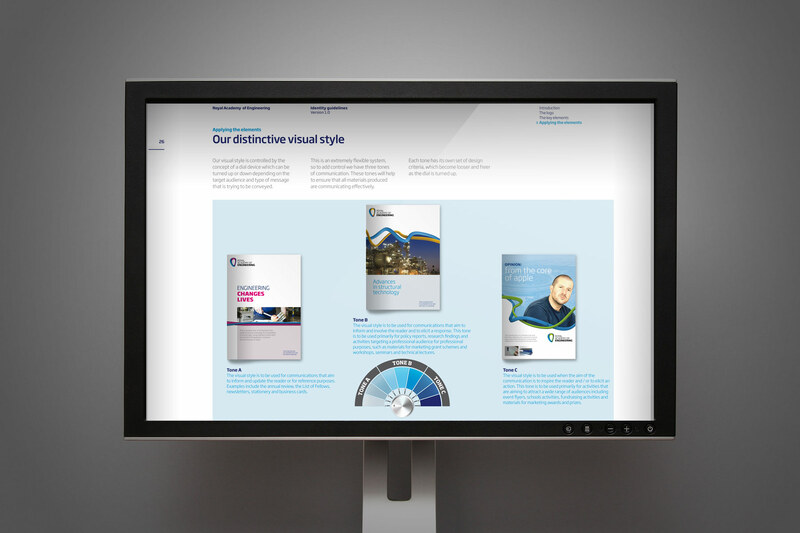 Our remit included developing the campaign look and feel, creating web responsive design and delivering a microsite along with print brochures. 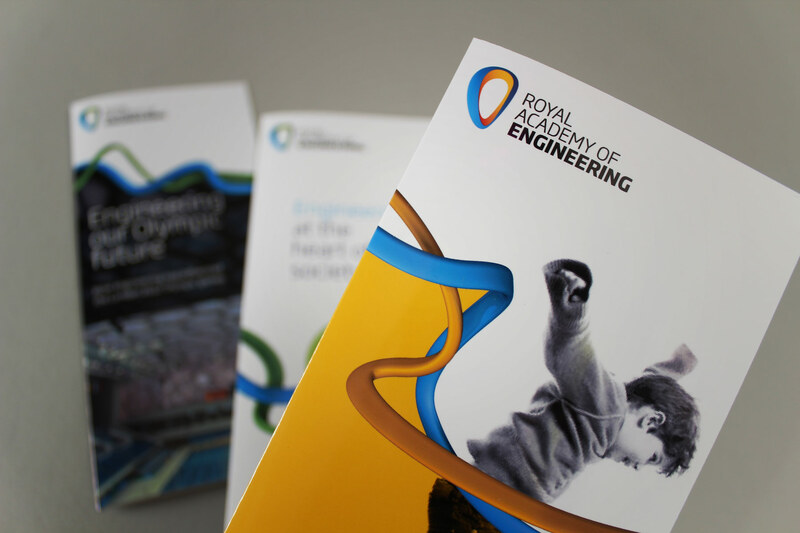 RAEng has a remit to champion the uptake and understanding of Engineering across the UK. Westminster and parliament has grappled with turning a depressed market around and back into growth. 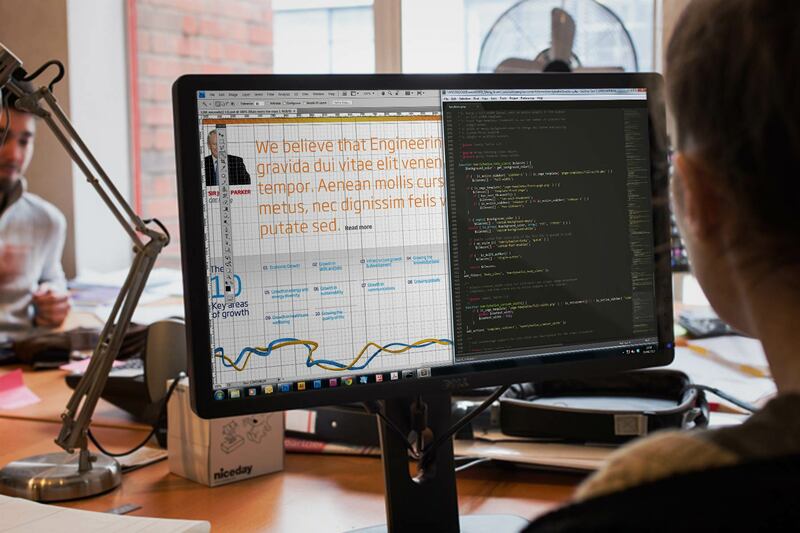 Engineering is one of the UK’s greatest exports and Firedog has been tasked with developing a communications campaign which communicates this fact to the widest possible audience. 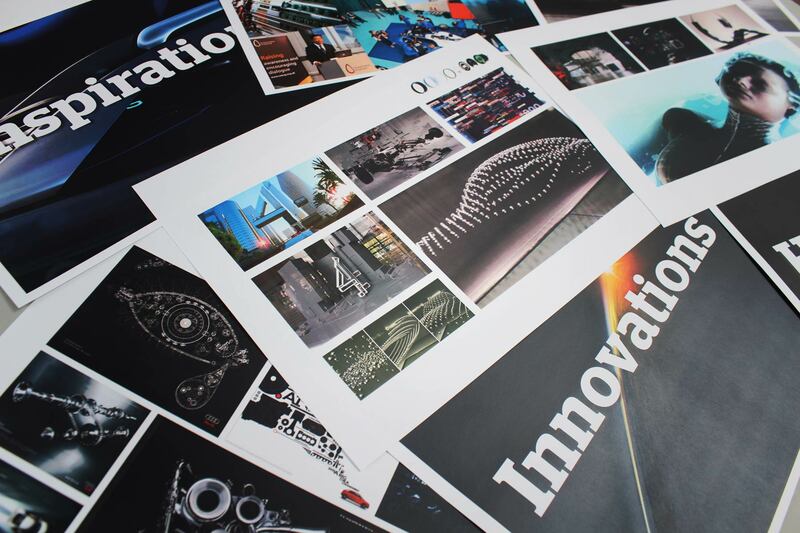 We wanted the material to be as widely distributed as possible, so we decided on an integrated campaign whereby we would produce both a printed and digital copy of the campaign. 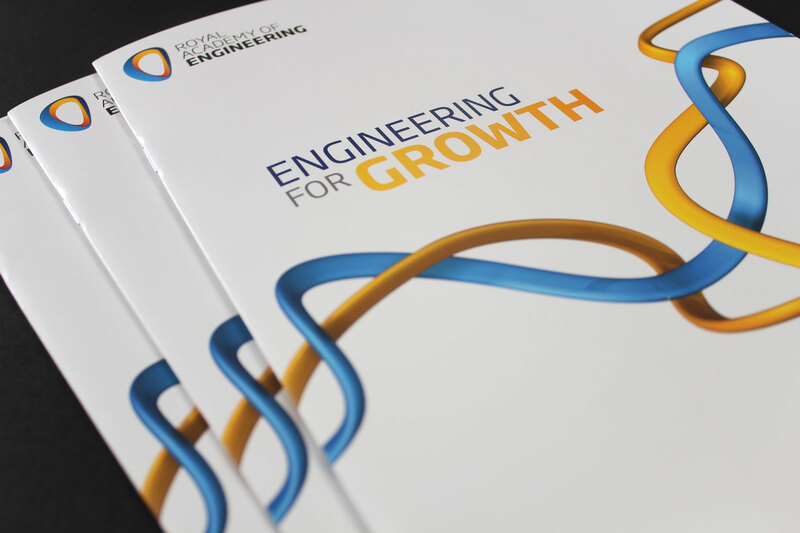 We developed the campaign title “Engineering for growth” so that we could own the natural SEO context for the search terms which make up the initiative. 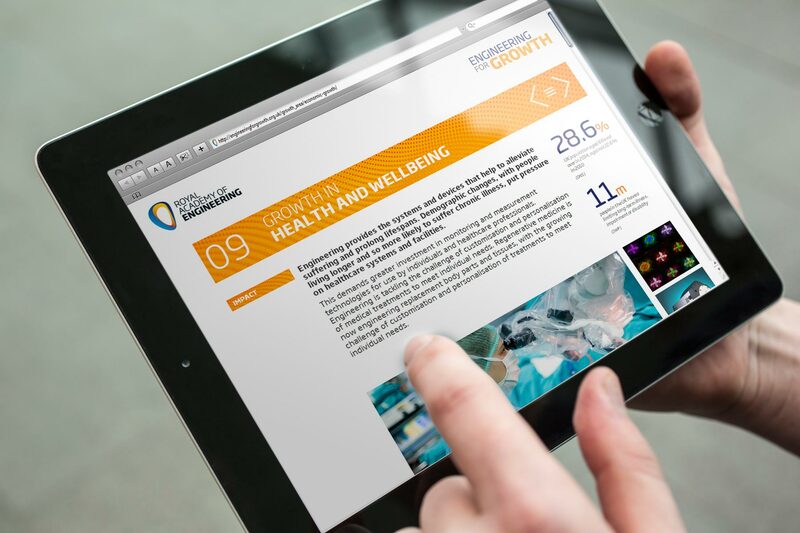 We developed a series of case studies which focused on each of the UK’s leading success stories, developing supporting imagery and vital statistics to ensure an easy read. For the microsite, we developed a fully responsive design template, which made for format-friendly reading across a range of devices. For the microsite, we developed a fully responsive design template, which made for format-friendly reading across a range of devices. The site could easily be read from full widescreen desktop mode right down to mobile portrait mode. 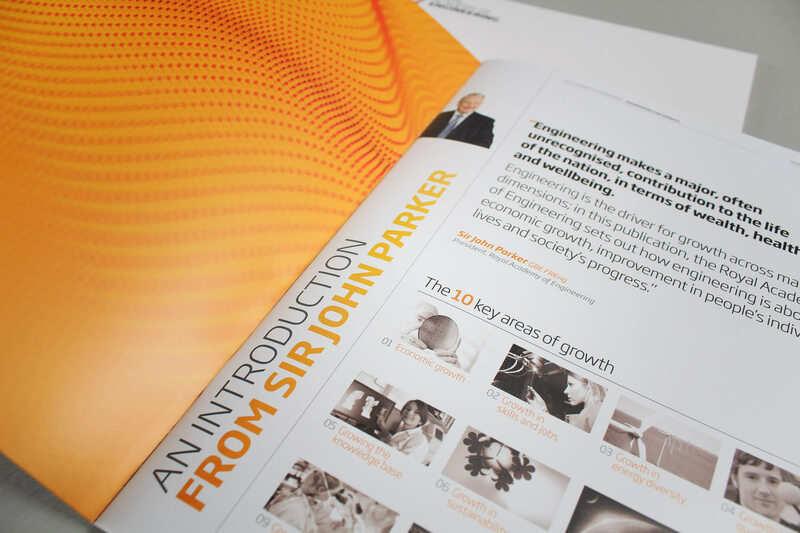 The supporting brochure format ensured that the campaign could also be “pushed” to key figures in industry. Since its inception, the campaign has reached millions of people through traditional and social media, events, and ministerial engagement. The microsite has had 4,000 unique website visitors and 400 people now read the monthly newsletter. Over 100 press articles have been generated and the campaign has had three references in ministerial speeches. The #eng4growth hashtag gets daily use on Twitter and further generates publicity.